The Guardians Of The Galaxy has been at an all-time high since having not one but two hit movies. However, the books have fought to keep stories fresh and interesting. It certainly hasn’t helped that in recent years GOTG has had a bout of number-one-itis. Constantly “starting over”, whether that be the main book, individual character stories or variations of the team. It’s been a tough go for fans who just wanted their favorite characters from the movies they love. Here we are again, a new number one and a new team. It’s not the first time the team has changed. Fans got a taste of the original team (led by Stallone) in GOTG Vol 2. The new team appears to be have been caused by deaths, conversion to villainy, and generally unknown reasons. Star-Lord stands alone with Groot. Side note – the idea that Groot is a jerk is getting really long in the tooth. Might be time to go back on that concept. This book is all about how the new team comes together. Thanos is without head and therefore gone. It’s a completely different galaxy for the guardians. As a result, this is a decent jumping on point for anyone who might have been living under a rock and not connected to the recently popular team. It’s funny how, mostly because I hadn’t read the most recent series, I didn’t find the changes all that jarring. Except for one thing: the iconic I AM GROOT. It’s here, but in between Groot actually talking. The writers of this book should have included a box at the bottom referencing where this happened. It would have forced the reader to accept it or go back and figure it out. Overall, this is a good book and has some interesting new (and old) characters in it. 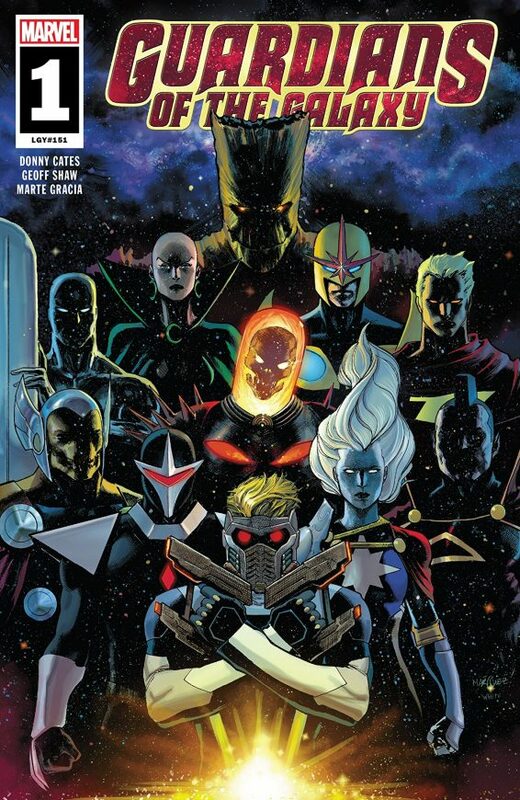 My concerns are tiny at best and the story should be worthy a read for all Marvel galaxy fans.